Are you struggling with tech or business processes? As a business coach, Candice brings in her technology expertise and business savvy from 20+ years corporate experience. Are you struggling with tech or business processes? 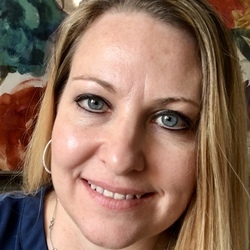 As a business coach, Candice brings in her technology expertise and business savvy from 20+ years corporate experience in Sales and Marketing Operations, Finance and Billing, IT, Project Management and Customer Experience. She loves using her expertise to help generate new ideas, automate tasks or identify cost and time savings in your business so that you can spend more time engaging with your clients! Are you looking to develop your skills as a leader in your growing business? Candice can leverage her experience as a supervisor and project manager as well as 3 years of career coaching to be able to get your confidence up in hiring, managing, coaching and leading your staff. Are you too much in the day to day operations and need to turn your attention to strategic planning? She can help you build out a transition plan for you to enable you to get your staff trained up and transitioned into keeping the lights on while you transition to critical and creative thinking about your strategic growth! Have you worked with Candice? Tell your friends! Candice hasn't submitted any articles.